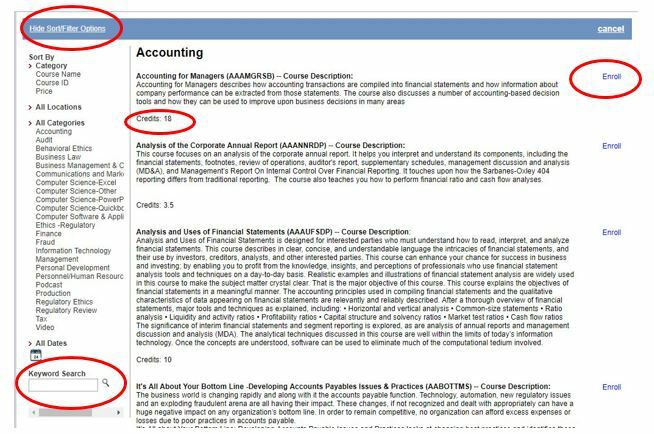 Below is what the course catalog looks like. search directly in the subscription catalog. The difference? The descriptions on CPASelfstudy.com contain a link to a table of contents, the author’s name, publication/update date and the course learning objectives.